Paris is high up on many people’s lists of dream destinations, which is really not a surprise. This city is practically bursting at the seams with sights and attractions. A day in the city is not enough – maybe even a week wouldn’t be enough with all that you can see in the city. If you are limited as to time, here are the attractions that you absolutely have to go to. I suggest that your first stop be the Eiffel Tower. It may be cliché to so many, but if it is your first time to visit Paris, then the Eiffel Tower should definitely be on your list. Actually, many people still go back to see the Eiffel Tower even on their repeat visits to the city. Make sure that you go up the lift for an awesome view of the city. Next up is the Arc de Triomphe. This is another historical destination which sees millions of visitors each year. 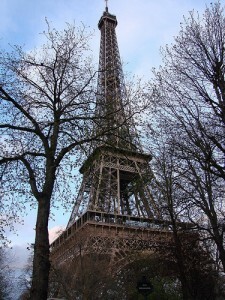 Its top also offers a grand view of Paris, although it is not as high as the Eiffel Tower. However, it is located in a more strategic position and Paris is relatively flat, so the view is actually just as astounding. The Louvre is perhaps the most famous museum in the world. Join millions of tourists in being proud to say that you’ve seen the real Mona Lisa in the Louvre. More than the Mona Lisa, though, you can feast your eyes on countless works of art originating from as far back as the 1700s. If you’re really into art, you might want to allot a LOT of time for the Louvre. These are what I like to call the “essentials” in Paris. However, you have tons of other places to go – Musee d’Orsay, Cite des Sciences at de l’Industrie, Centre Pompidou, and more. Of course, you can’t miss the cafés dotting the streets. Get your stomachs ready for the gastronomic delights that await you in the city as well.